Today marks in important milestone in Oregon history. But you aren't likely to see any coverage in the mainstream media. Why? Because it has nothing to do with the Kardashians or Star Wars or Back to the Future or a mass shooting. Nope. 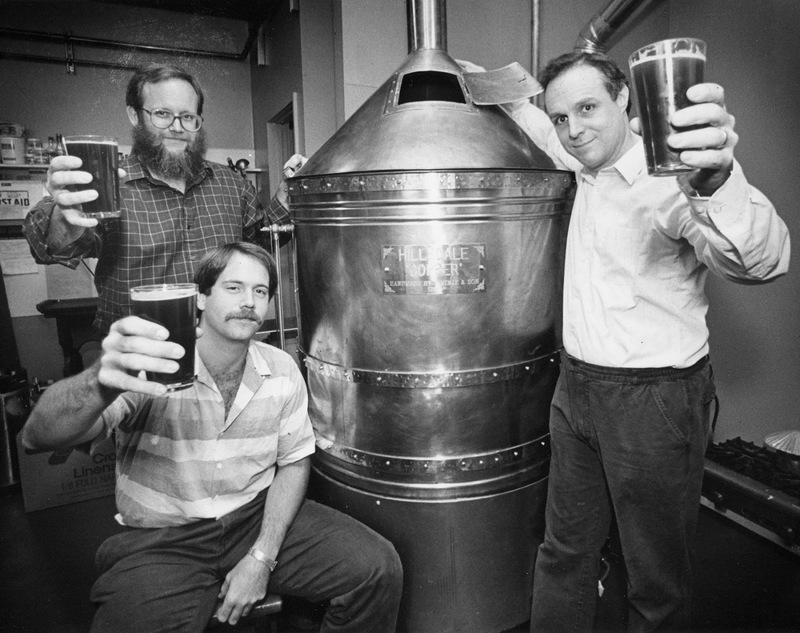 Thirty years ago today McMenamins brewed the first batch of beer at their Hillsdale pub. Why is that significant? Because it made Hillsdale the first brewpub in modern Oregon history. 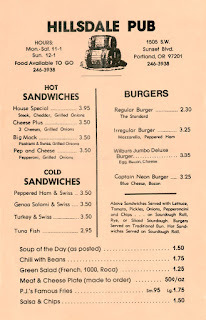 The Brewpub Bill, passed in June 1985, paved the way for them to establish a brewery in an existing pub. It may be instructive to recall that Bridgeport and Widmer were both brewing at that point. Bridgeport was actually selling beer by late 1984. The Widmers were right behind them and began selling beer in April 1985. But neither had a pub. Hillsdale was the first. Those early Hillsdale beers were brewed with malt extract and other suspect ingredients. Not the best approach and, in fact, the beers were not especially good. Don't take my word for it. I didn't get here until 1989. Brian McMenamin provided his thoughts during a 2013 interview. We weren’t really sure what the Brewpub Bill meant at first. Did it mean cooking beer on a stove in the kitchen? We knew we could use old dairy equipment. So we went down to Tillamook and found some tanks, jerry-rigged some stuff and it worked. We started making beer and it wasn’t good beer. We hired some people to help with it and we eventually had some decent stuff. One of the people they hired was John Harris, who would become one of Oregon's iconic brewers at Deschutes and Full Sail before launching Ecliptic in 2013. By 1985, Harris had done some homebrewing, but had no pro experience. There were very few pro craft brewers in those days.. Head brewer Ron Wolf hired him, anyway. Harris recalled his experience in 2013. On my first day at Hillsdale, I was supposed to bring rubber boots…but I forgot to buy them. I had to wear my hiking boots, which didn’t work very well. Fortunately, they didn't fire me. The system was tiny…about seven kegs. We had no temperature control and we used open fermenters. Consistency was a problem. Beers sometimes got a little sour. The whole concept of small breweries was revolutionary. The brewers at Henry Weinhard considered us renegades because our brewery was so primitive. We got some respect and the beer got better after we started mashing. The brewpub concept didn't take off instantly. But combining food with beer produced in tiny, on-site breweries eventually became a thing. 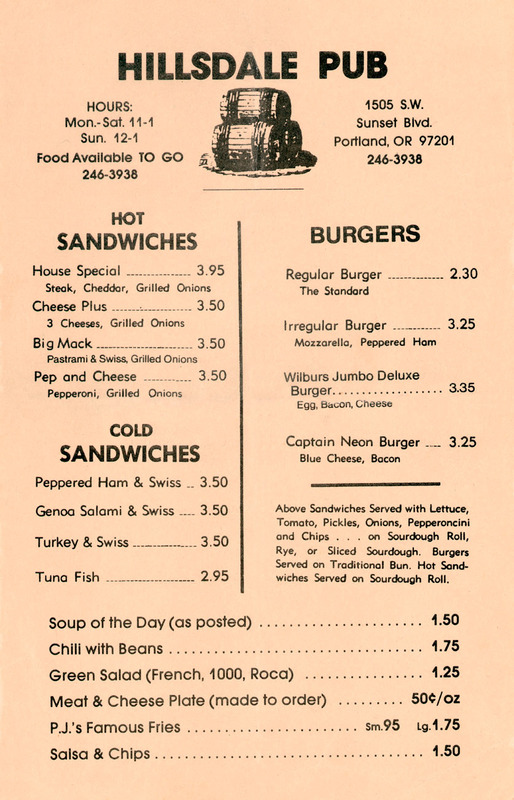 Bridgeport established a pub and Portland Brewing opened on Northwest Flanders in March 1986. McMenamin's eventually established breweries in a number of their pubs, which became destinations because you could always find good beer there. In the greater scheme of things, brewpubs were crucial to the development of our beer culture because they exposed people of all ages to craft beer in a friendly environment. If not for brewpubs, craft beer would have been relegated largely to the dark shadows of taverns and bars, and it's visibility would have suffered. We would not be where we are today. To celebrate 30 years, a commemorative version of Hillsdale Ale will be poured at all McMenamin's locations today. No, this won't be a malt extract beer. They've examined the brewing notes from that original beer and recreated it to the best of their ability in an all-grain format. Pints of Hillsdale Ale will go for $4. Growler fills will be $8. As most who follow the local beer scene know, the McMenamins pursued a different course than virtually all of the other craft or micro breweries. They never had any desire to distribute their beer beyond their own pubs and assorted properties. Their plan was wildly simplistic. "Instead of buying it from someone else, we wanted to brew the beer to sell in our pubs," Brian McMenamin recalled. "If you haven't figured it out, we're stubborn Irish people. We like doing things ourselves." You might say that stubborn, do-it-yourself approach has served and guided the brothers well over the years. And if you did, I'm pretty sure you'd be right.